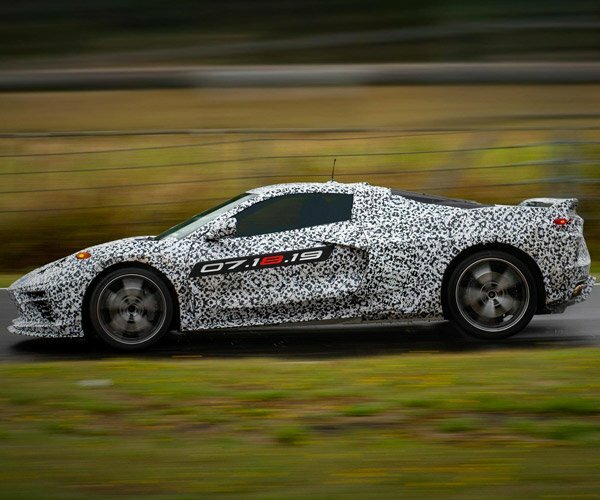 LEGO moves fast. 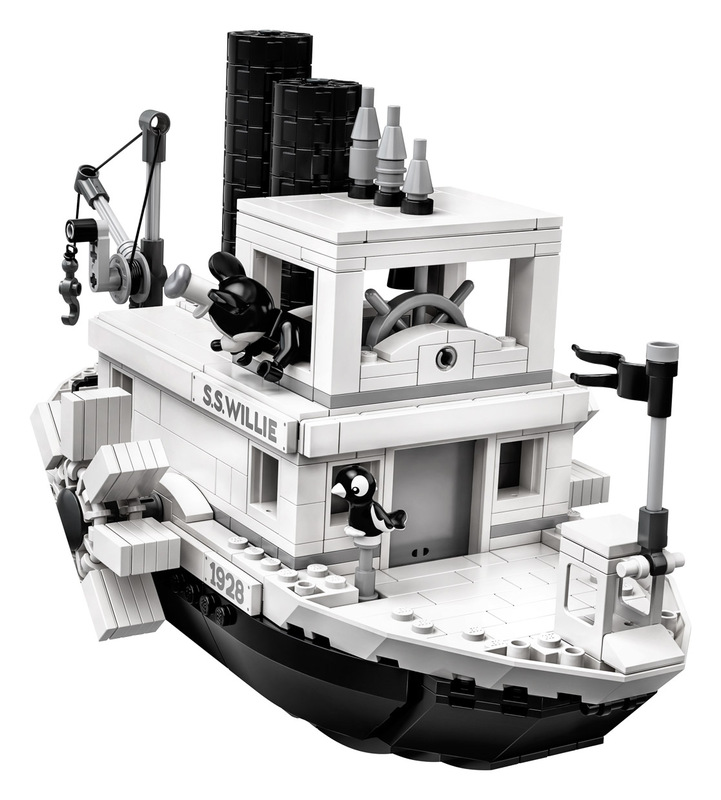 Last month, the LEGO Review Board greenlit two new LEGO Ideas sets as part of the Second 2018 Review Results. 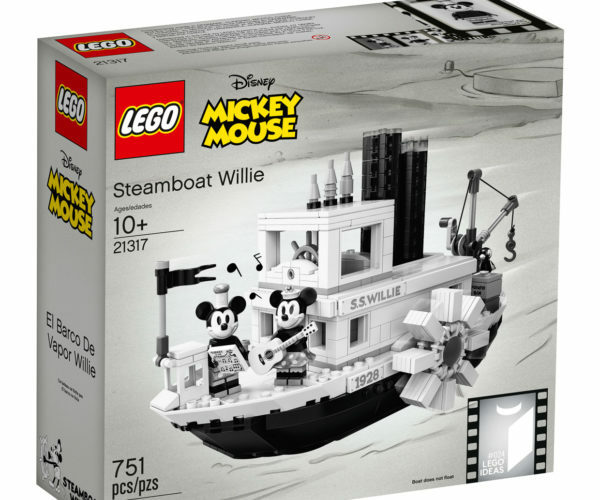 One was The Central Perk Coffee from Friends, the other was Steamboat Willie. 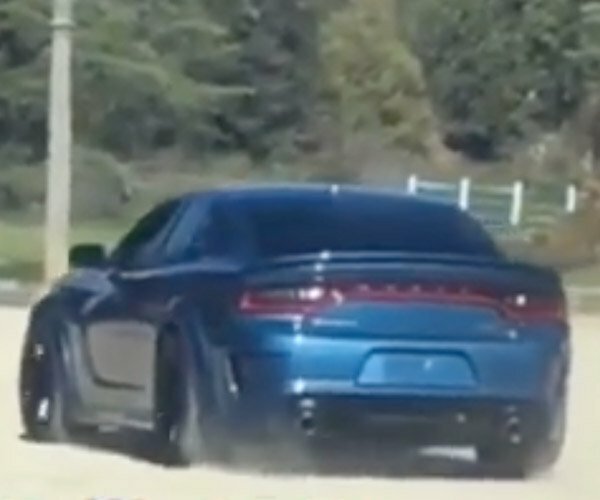 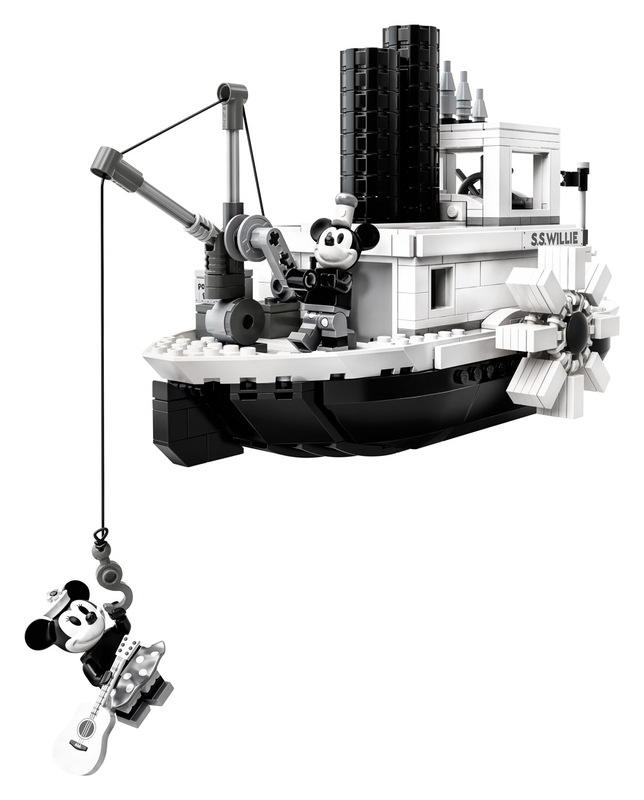 Well, look at this. 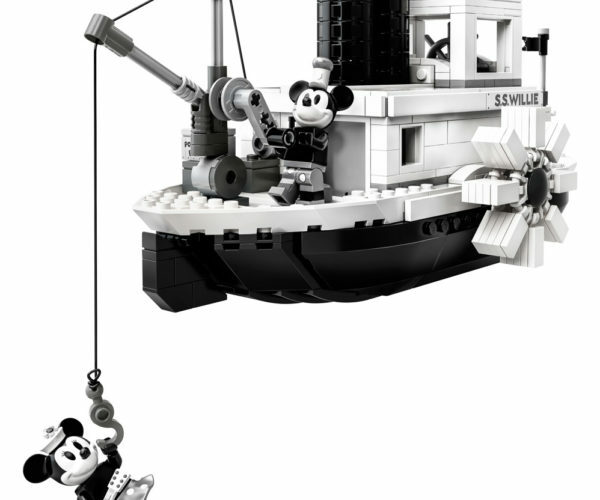 It is headed your way Disney fans. 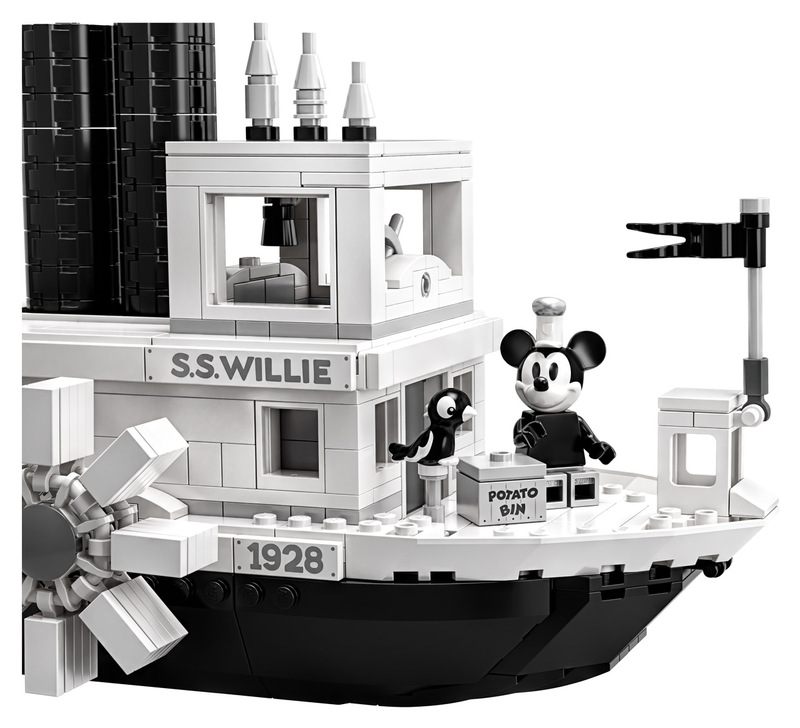 For those who don’t know, Mickey Mouse made his screen debut in the 1928 black-and-white animated short film called Steamboat Willie. This was also the first Disney film to have synchronized sound. 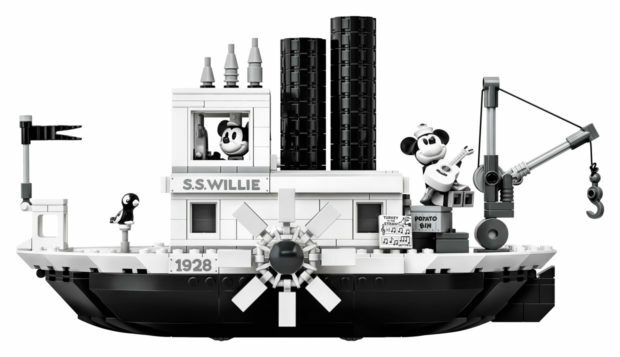 This official LEGO set is based on the original cartoon character from 90 years ago, and based on a concept submitted by LEGO Ideas member Máté Szabó, AKA szabomate90. 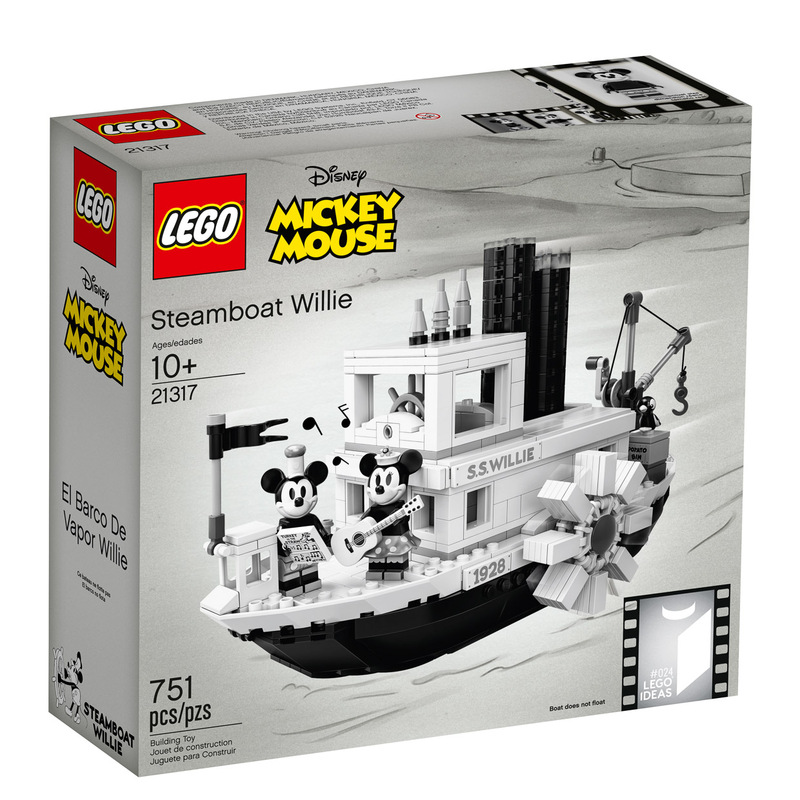 The production set is called LEGO Ideas 21317 Steamboat Willie. 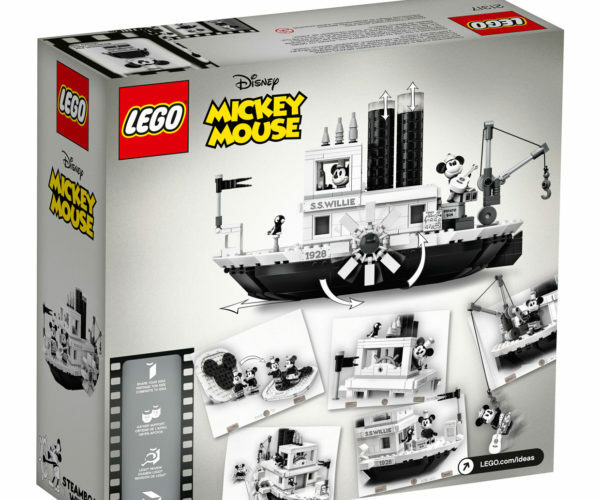 This 751-piece set was adapted as the official set by LEGO Designer John Ho. 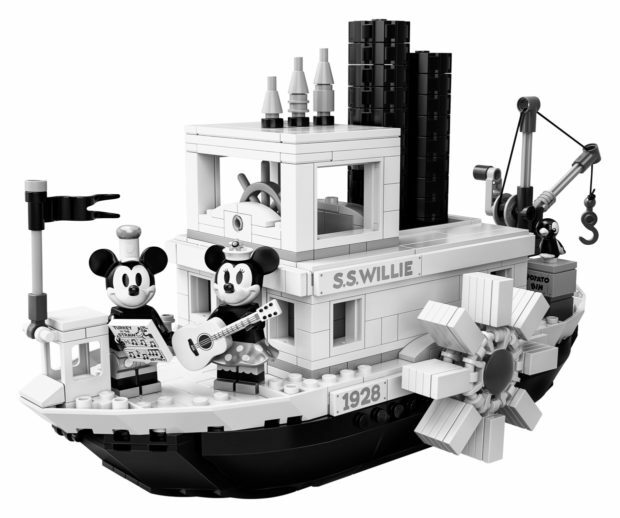 It has elements and minifigures created by Graphic Designer Crystal Marie Fontan, and everything looks great in glorious black and white. 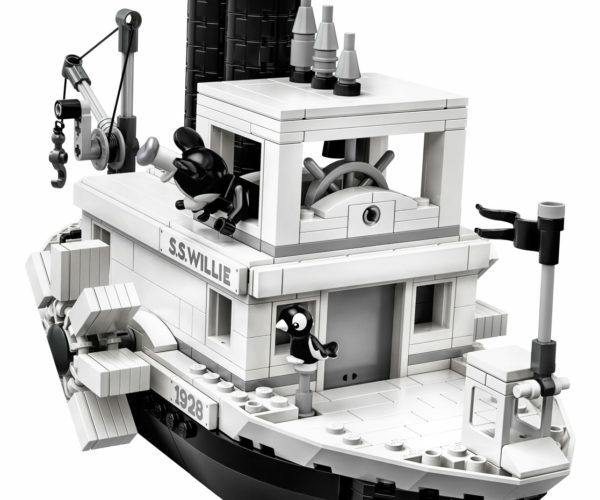 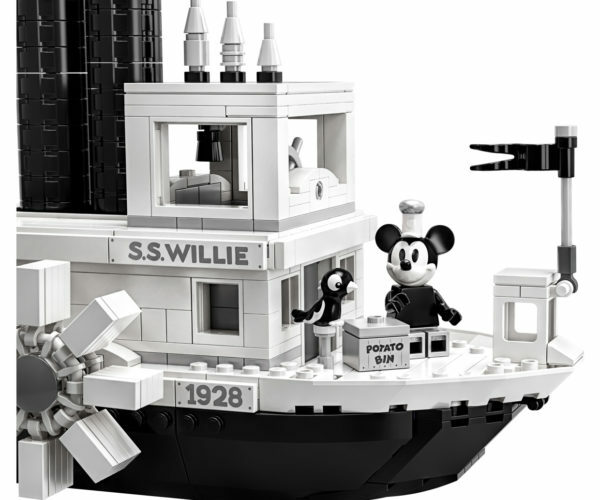 The Steamboat Willie set will hit the LEGO online store and brick and mortar LEGO stores on April 1st, 2019, but it’s no April Fool’s joke. 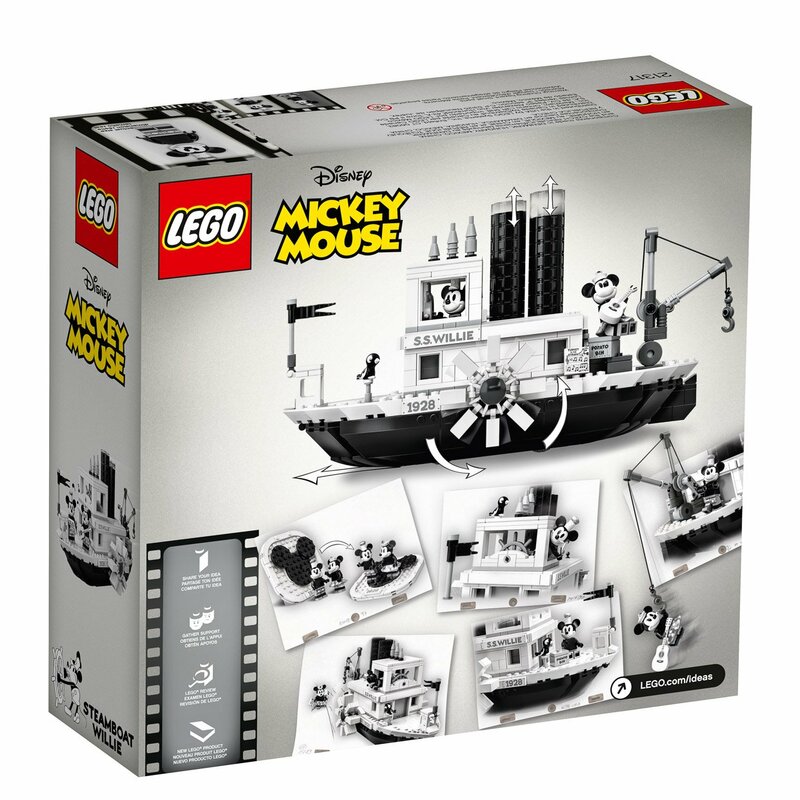 The set will go for $89.99. 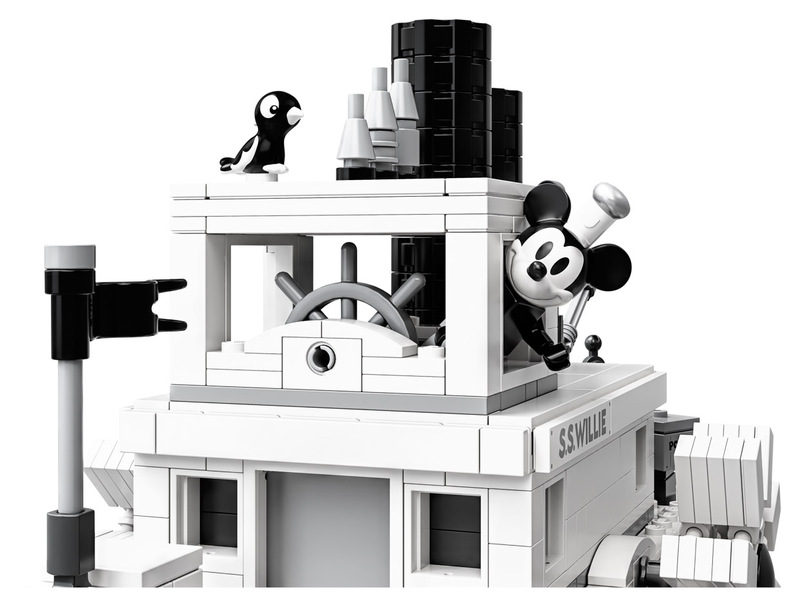 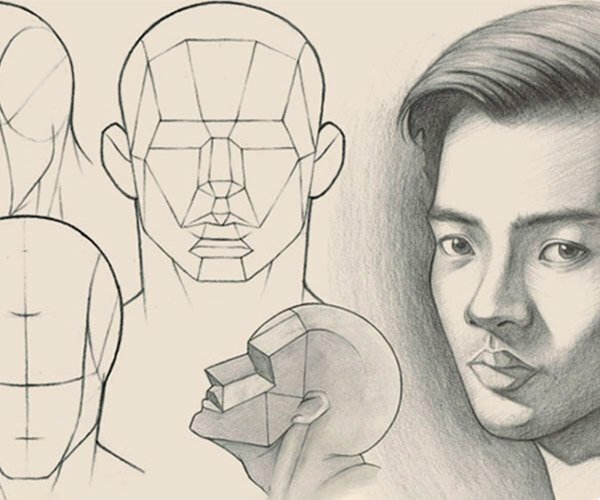 That’s a small price to pay for Disney fans who want some animation brought to life. 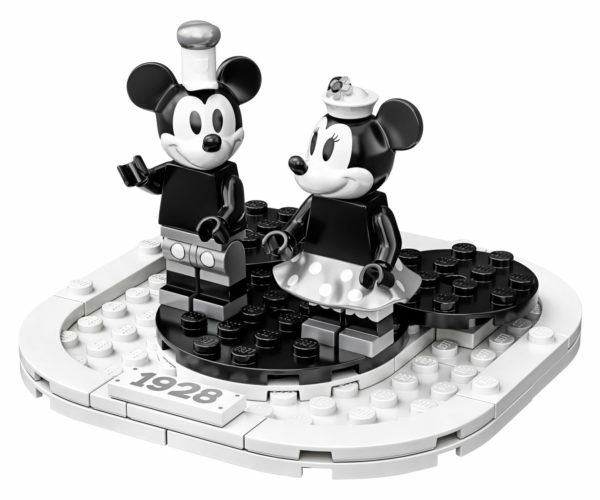 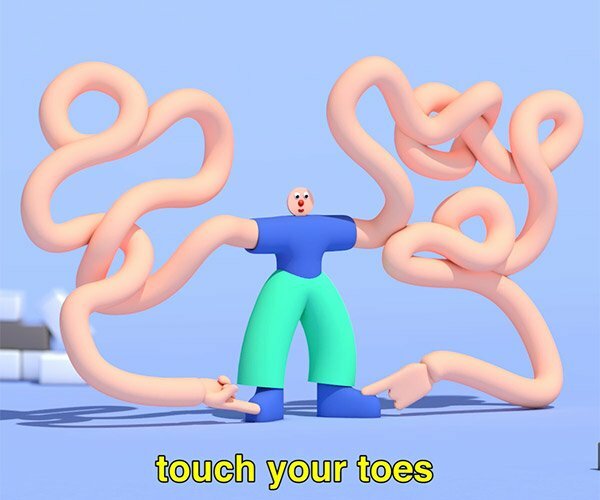 Maybe someone can make a stop motion version of the original cartoon with this set.